Protecting wildlife habitat BHCC/Hyde Martlets-style….How is this actually LEGAL? 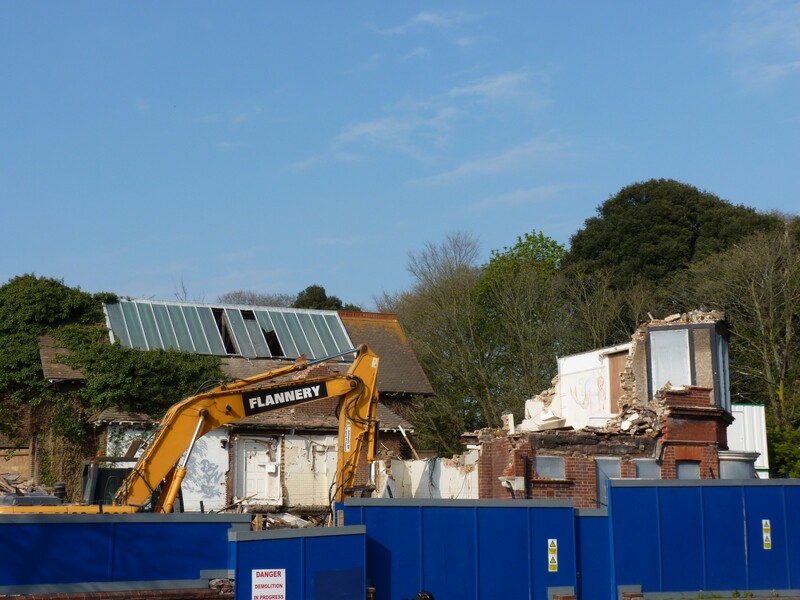 12 May 2013…..It is to Brighton and Hove City Council’s enduring shame that this redevelopment is even happening. And it all began with one housing officer telling Hyde the council would welcome housing on this site in principle and one planning officer agreeing the massive footprint before the Planning Committee could have a say and a lack of policy documents or will to protect this precious area between two parks. A habitat unfit for human life is being constructed – heaviest grade triple glazed flats and carrying the recommendation that windows are only opened to clear smells and heat build up. Developers’ own consultants, using coded language, did not commend the balconies for sitting out on either…. And all done between two important public parks. Red-list birds have had no help to remain in the Hove Park Gardens area and neither have the badgers. Residents in Hove Park Gardens are felling with impunity – an extraordinary, grand and lush macrocarpa cypress was hacked down last year by the new owners of what used to be 19 Goldstone Crescent (which they have renumbered 10 Hove Park Gardens). A new 19 Goldstone Crescent is under construction. view from the street: close! The BHCC Ecologist is leaving the council and apparently is not to be replaced. This is all happening under a Green Party Administration. When a Cllr asked Planning to look into this activity pictured above, the officer told him to call the police….their responsibility? There are grave questions here about compliance with the planning consent and Conditions of Consent. This is not just a police matter. Shame on you, Brighton & Hove City Council, for your part in this. Shame on you. Errata: The thumbnail gallery photos of habitat destruction were taken on 2nd April, 2013 – camera setting was wrong. 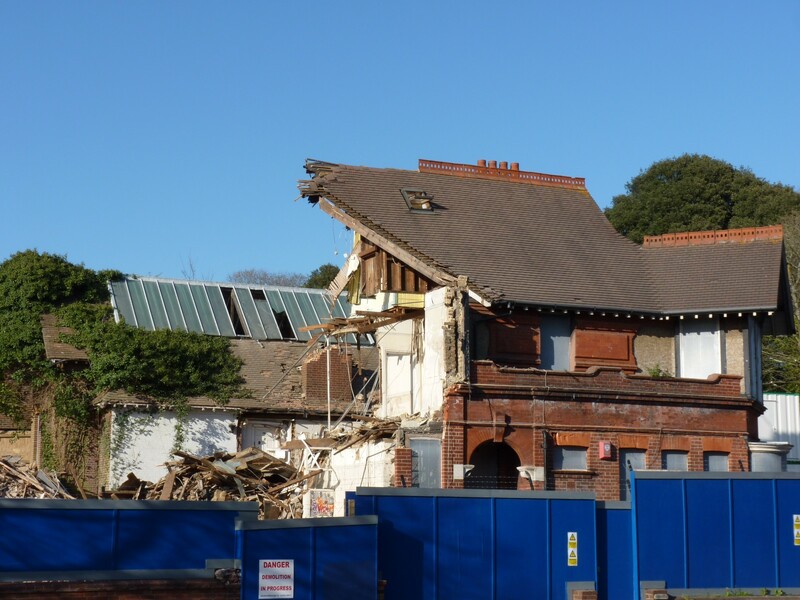 Concerned with planning, development and the conservation of historic Hove, we actively seek to prevent inappropriate, negligent and abusive redevelopments! Gallery | This entry was posted in Conservation, Enforcement, Housing and tagged PARK HOUSE, trees, Wildlife habitat. Bookmark the permalink.